Bring your old device to a new level! 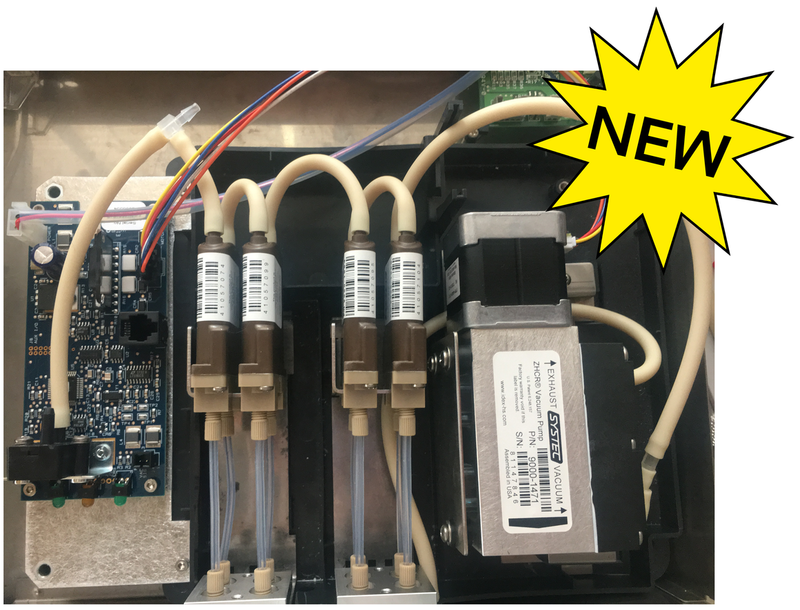 The Biotech degassing upgrade kit is a drop-in assembly, that can be installed by any qualified lab technician in less than 20 minutes and requires only a #1 Phillips Screwdriver. Full kit includes all necessary tubing, fittings, hardware and cables to get you up and running quickly. Order the new Chromanik-Biotech Application Dictionary on USB stick or download it as pdf file. 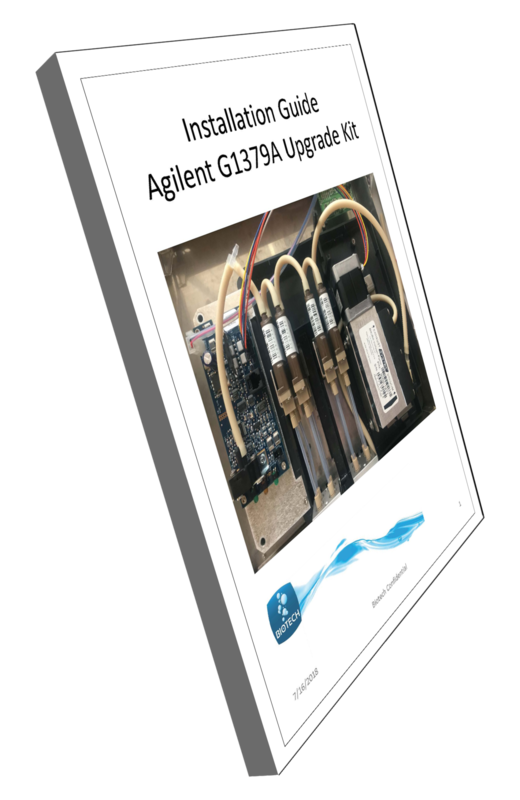 This booklet contains over 120 application examples of how Chromanik HPLC and UHPLC columns solve separation and analysis problem and is the perfect tool to use for marketing and sales. Every example contains all the info to set up the separation, including mobile phase, flow rate, temperature and detection type. Most applications also come with chemical structural formula, making it easy for your customers to recognize molecules similar to their own. Witness the true power of Chromanik HPLC and UHPLC columns. With a wide variety of column chemistries to choose from, including C18, C18-WP, HFC18-16, HFC18-30, RP-AQUA, CS, C30, PFP, Phenyl, CS-30, C8-30HT, C4-30, HILIC-Amide and 2-EP, even the most challenging analysis needs are likely to be solved. If you cannot find a matching separation example in this Application Dictionary or have other questions about HPLC and UHPLC, you are most welcome to contact Biotech. Our aim is to guide you to the best column for every situation. The solution could be only an email or phone call away! ChromaNik have released a range of Micro and Nano LC-MS columns with diameters from 0.5 mm down to 75 µm in different lengths. The columns are available with the SunShell high-performance core-shell materials in different particle sizes and with either C18 or Phenyl stationary phase chemistries. You can also choose the high-throughput material SunShell C8-30HT which has an exceptionally thin shell structure for extra fast separations, or the more traditional fully porous Sunniest material with C18 modification, or the SunShell C4-100 wide pore core-shell particles for separation of large molecules like monoclonal antibodies. The ChromaNik Micro and Nano columns are highly suitable for LC-MS/MS analysis. The columns can for example contribute to higher sequence coverage and higher identification rate when mapping a tryptic digest of a BSA protein, as shown in the example below. This was achieved thanks to an efficient separation with small peak elution volume, resulting in better discrimination and higher detection sensitivity. Designed to be both powerful and user friendly. The RefractoMax is engineered to give very high baseline stability to deliver superior signal-to-noise ratio with neglectable drift even at long analysis times. This is accomplished by the optical bench which is thermostatically controlled between 30 °C to 55 °C. Convenient features such as a leak sensor that automatically can switch off the pump and automated start-up, facilitates everyday use and method development. The Auto Set-up function automates purging, equilibration, autozero and control of baseline stability and noise. Instrument validation and calibration can also be carried out by the push of a button and instructions on the coloured display screen. Easy integration with different chromatography systems is ensured by the ports for external input and output communication. Because the RefractoMax is available in three different configurations there is always a model that fit your needs. The 524 Micro version is optimized for operation together with small ID HPLC columns used at low flow rates, and the 521 Analytical model is designed for highest detection sensitivity with standard HPLC column separations. The RefractoMax 522 Semi-Prep is suitable for higher flow rates and has a wider dynamic range to handle more concentrated samples. Small and modular. Robust and intelligent. The new range of Runge Mikron detectors recently introduced by Biotech AB, unites many attractive features in a tiny package. Different modules can be combined to measure in a variety of fluidic systems, including liquid chromatography. Thanks to several available LED-based fixed- wavelength light sources with a life-time of more than 5000 hours, power consumption below 2.5 watts, and start-up within seconds, the Runge Mikron detectors are ideal for incorporation into portable field instruments and online monitoring devices. This also allows the detectors to be operated in refrigerated laboratory environments down to 4 °C (39 °F), without virtually any heat production. Flexibility in sampling frequencies, detector cell sizes, port connections and choice of wetted materials, make the Runge Mikron detectors suitable for many flow rate conditions and eluent compositions. The Runge Mikron detectors are easy to connect as they communicate through, and draw power from, one single USB-C port. Drivers are provided for several chromatography software, alternatively, an open protocol can be used for customised implementation. The detectors conform to international standards and are CE marked. Being a Global Premium Distributor to IDEX Health & Science, we can provide you with our 160 pages catalog – a unique reference book with access to thousands of items. We have a cutting edge knowledge to tailor your need whether it is applications for low or high pressure, water based fluids or hazardous organic solvents – virtually any fitting – any ferrule. ¤ Yes, the paper catalogue would be perfect. ¤ My preference is a USB Memory. ¤ I prefer to download it from your website. Let us be your first choice whenever your need is highest quality fittings, tubing, connectors, filters, valves, detectors, pressure sensors, degassers – whether it is for UHPLC /HPLC/GPC/Prep, Flash, Biosensor/SPR or other fluidic instrumentation. Make your choice – 10 pcs or 10.000 pcs and discover our capacity, stocking facilities and customization. We have stocking centers in EU, USA and Japan and delivers fast and safe. We are happy to announce that we now have our IDEX Pressure Sensor in stock. Meticulously engineered and broadly tested for precision sensing, our premium QuickStart Pressure Sensors continually monitor system parameters to provide you the information you need to keep your instrument operating reliably. For the first time you can use a flow-rate of 75 ml/min per channel and with four channels you may reach no less than 300ml/min!